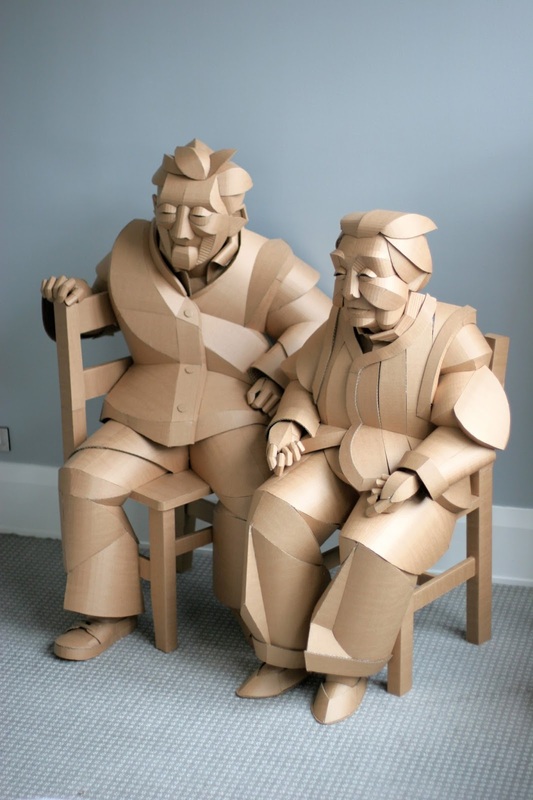 We thoroughly enjoyed learning about artist and sculptor Warren King—via Colossal—and his latest series of projects executed in his signature medium of cardboard. Wanting to learn more of his heritage and ancestry, King has been travelling back to China and meeting with and interviewing residents of the village of his grandparents who have shared their memories of the past tumultuous five decades, and his expressive, life-size figures represent the reconstructing connections that are at once incredibly resilient to reach across the years while at the same time fragile and tenuous. Check out a gallery of King’s work at the links above.